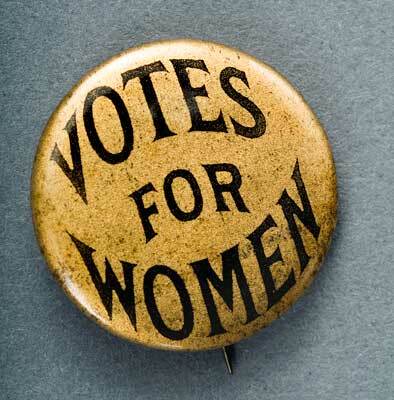 On March 3, 1913, 5,000 women marched up Pennsylvania Avenue in Washington, DC, demanding the right to vote. Their “national procession,” staged the day before Woodrow Wilson’s presidential inauguration, was the first civil rights parade to use the nation’s capital as a backdrop, underscoring the national importance of their cause and women’s identity as American citizens. The event brought women from around the country to Washington in a show of strength and determination to obtain the ballot. The extravagant parade—and the near riot that almost destroyed it—kept women's suffrage in the newspapers for weeks. Costumes worn by participants, along with banners, sashes, postcards, letters, and photographs, re-create the mood of the parade and illustrate its impact.